We round up the latest Liverpool news and transfer rumours on Wednesday, with attention turning to the weekend visit of Bournemouth. How is this terrible behaviour still happening? Everyone should enjoy being in a title race, not fear it. Liverpool’s on-loan Serb looks to do Reds a favour. Is the end nigh for this youngster? Another positive step in the right direction. Seven Istanbul heroes will be present at Anfield next month. 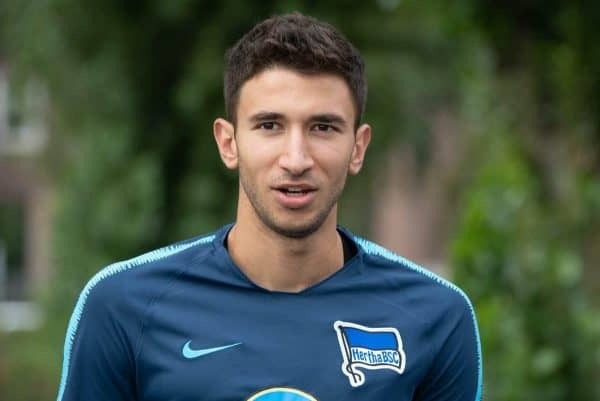 Marko Grujic has found some sparkling form for Hertha Berlin this season, starting and ending a beautiful team goal against Schalke last month. According to Sport Bild, via Sport Witness, Hertha want to keep the Serb on loan for another year in 2019/20, such is the impression he has made. But Liverpool are looking to loan him out to a club in either the Champions League or the Europa League. Hertha are currently ninth in the Bundesliga, though only three points off sixth and a potential place in the Europa League qualifiers, and if they don’t finish high enough he could depart the Olympiastadion. 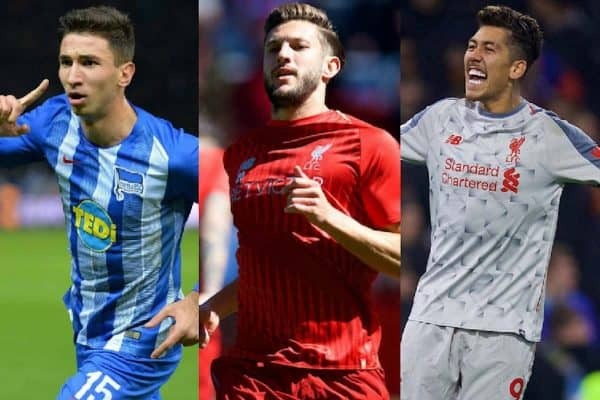 Grujic is contracted at Anfield until the summer of 2023, so letting him remain on loan for 12 more months makes sense, unless Jurgen Klopp thinks he could be a key man next year. 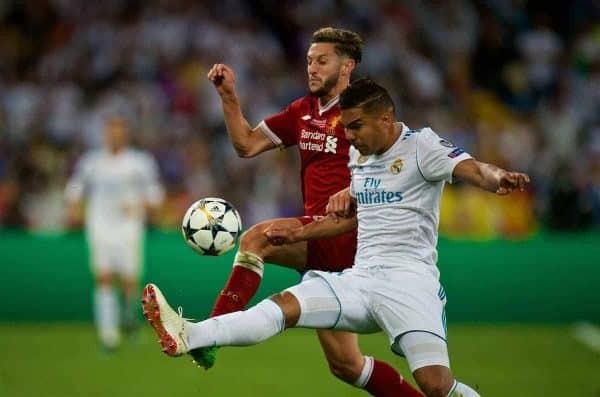 Gareth Bale has revealed an interesting conversation with Adam Lallana after last season’s Champions League final in Kyiv. 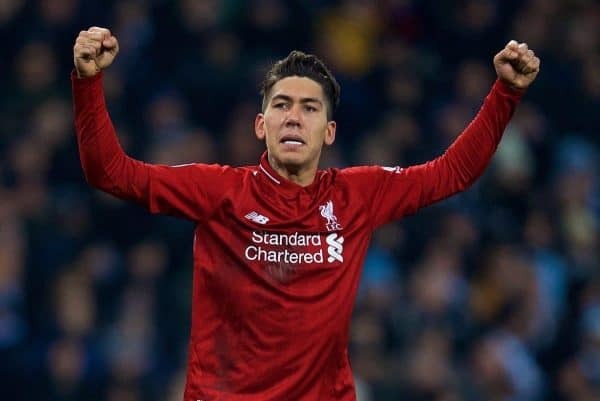 “I was chatting to Adam Lallana after the Liverpool final and I asked him whether they’d been nervous the night before. “He told me they’d all been struggling to sleep. We’d all been really relaxed because we were so used to being in that situation. It is a slightly worrying revelation from Lallana, considering the pressure Liverpool are currently under the Premier League title race. Let’s hope those sleepless nights haven’t returned. Roberto Firmino had an awful game against West Ham on Monday, but Liverpool’s No. 9 has scooped the club’s Goal of the Month award for January. 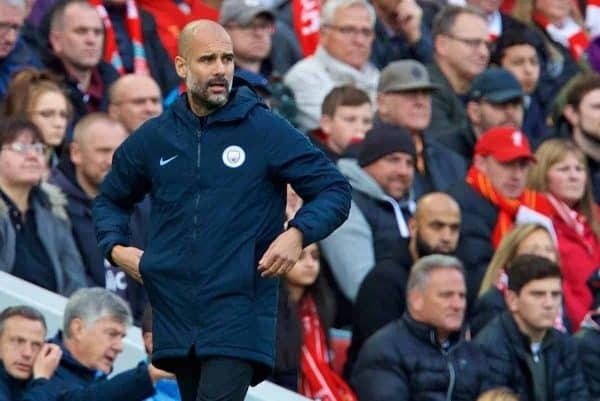 The Brazilian may have only headed the ball into an empty net away to Man City, but it finished off an excellent team move with full-back pair Trent Alexander-Arnold and Andy Robertson heavily involved. Mohamed Salah‘s first goal of the afternoon against Crystal Palace earned the runners-up spot, while Sadio Mane‘s strike at home to Leicester won the bronze medal. Man City full-back Danilo admits Liverpool’s post-Dubai malaise has acted as a boost to the champions, although he hasn’t taken a reckless Kyle Walker-esque approach to things. “It was good for us and everyone in the dressing room knows that. But if we don’t do our job it will not be enough. “So, we are a bit happy but knowing we have to do a bigger job. You have to play your game and play for another result. “Sometimes you play before or after [your title opponents] and you have to try and put in the same performance every game. City head to Everton on Wednesday night knowing they can go top of the Premier League on goal difference, albeit having played a game more. Liverpool Legends take on Milan Glorie at Anfield on March 23, with proceeds going to the LFC Foundation. The Reds’ squad has already been announced, with the likes of Jamie Carragher, Sami Hyypia and Luis Garcia taking part in a repeat of the 2005 and 2007 Champions League finals. Milan have now revealed their own star-studded group of 26 players, including such luminaries as Paolo Maldini, Alessandro Nesta, Andrea Pirlo and Kaka. Clarence Seedorf, Andriy Shevchenko and Hernan Crespo are the only players missing from those two historic clashes with Liverpool.